Don't feel like reading????? Watch the video!!! ​ Illness and disease were thought to have a supernatural cause. Many people thought it was due to the wrath of God or evil spirits. The possibility of illness and disease being linked to unseen organisms was postulated, but not widely believed until the invention of the microscope and a series of experiments in the 17th century. Galen of Pergamon 129 AD – 200 AD was a pioneer in the fields of medicine, anatomy and philosophy. Galen' Galen created the Miasmatic Theory that postulates that disease is caused by "bad air" or "mal’aria", known as “miasmatic odors.” It was thought that these miasmatic odors arose from decaying organic matter and was the cause of diseases like cholera, chlamydia and the Bubonic Plague. Hippocrates was a Greek philosopher that lived 460–370 BC. He is considered the “father of Western Medicine”. Hippocrates believed that illness and disease were caused by an imbalance among four vital "humors" within us. The idea was that if a person had either too much or too little of one of the humors, the result was illness or disease. Hippocrates also authored many of the oldest known medical books and is said to have written the Hippocratic Oath that physicians still take today. The main theme of the Hippocratic Oath is to provide medical care without bias and to do no harm. The Hippocratic Oath is also known as the Physician's Oath. It is the oath that each physician takes before becoming a medical practitioner. It is an oath to uphold ethical standards, to refrain from judgement or bias and to "do no harm". Below is a wonderful 2-minute clip of the modern version of the Hippocratic oath portrayed in "Grey's Anatomy". The Greek philosopher Aristotle (384–322 BC) published writings that theorized how some organisms come into existence through non-living materials. This theory is known as the theory of spontaneous generation. Aristotle supposed that if a non-living material has a spiritual essence or "vital heat" (or pneuma), it could give rise to living organisms! The theory persisted for thousands of year, because without microscopes, it did APPEAR as though animals or insects were spontaneously appearing out of non-living things! For example, fish would seemingly appear in a puddle water, maggots would appear in rotting meats, fleas would appear out of dust, mice would appear out of piles of grain, frogs appeared along river banks, etc. "The theory of spontaneous generation" was an idea so universal that its origin is still unknown. The idea of the theory of spontaneous generation. was that living organisms could come from non-living things. It was thought life was able to arise from non-living matter if that non-living matter contained a supernatural substance he referred to as "pneuma" or "vital heat". The Greek word, pneuma means "breath" or "spirit". As odd as the idea of Spontaneous Generation may seem, we need to remember that they only knew what they knew... They made OBSERVATIONS and they came to CONCLUSIONS based on those OBSERVATIONS. Not only was this idea somewhat universal, but it took centuries to convince even some of the most creative scientific minds of the fallacy (untrue nature) of the theory of Spontaneous Generation. Many people have said that "seeing is believing". ​There Were Observations that lead to the Theory of Spontaneous Generation - Without microscopes, it did APPEAR as though animals or insects were spontaneously appearing out of non-living things! For example, some of the "observations" For example, animals, worms or insects would seem to suddenly "appear" in an environment completely devoid of any visible evidence of life. Fleas would "appear" out of dust particles. Fish would "appear" in a new puddle of water. Mice would "appear" in a pile of corn husks or grain. Maggots would "appear" in rotting meat. Worms would "appear" from dead animals. ​Flies would "appear" out of manure. Flies would seemingly "appear" out of manure! Fleas would seemingly "appear" out of dust particles. Tapeworms could come into existence in an animal. Equivocal generation was a similar idea that postulated that living organisms arise from non-related living organisms. 1. Tapeworms could come into existence in an animal. ​ These ideas were very different from the property of univocal generation which states that living organisms are created exclusively through the process of reproduction from genetically related parent(s), that we know to be true today. Italian physician Francesco Redi performed an experiment in 1668 that proved that maggots DO NOT spontaneously generate on rotting meat. ​ Francesco Redi's experiments showed that maggots do not spontaneously arise from decaying meat. Redi performed experiments using jars containing rotting meat. 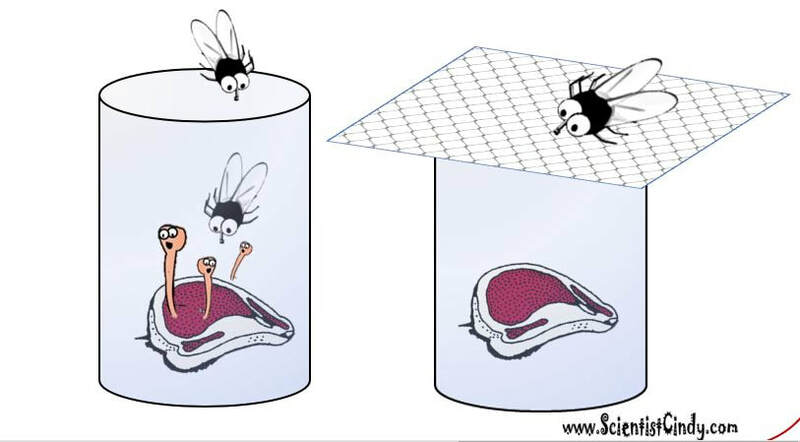 One jar was covered with gauze to prevent flies from coming into direct contact with the meat, while the other jar was left open, allowing flies to come into direct contact with the meat. The Pneuma or Vital Heat that was thought to exist in the air, would have direct contact with the meat. Hypothesis 1) Maggots are formed in meat through exposure to Pneuma in the air that causes spontaneous generation. 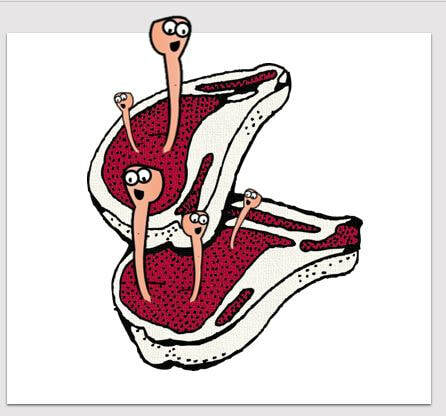 Hypothesis 2) Maggots are formed in meat through the direct contact with flies, which lay eggs in the exposed meat. Redi placed rotting meat into identical jars. He left one jar uncovered which would allow both the pneuma and the flies access to the meat. The other jar was covered with gauze that would allow the pneuma access to the meat, but would prevent flies from coming into contact with the meat. If ​ Hypothesis 1 was correct, Maggots would form in both samples of meat, because BOTH the meat that is uncovered and the meat covered in gauze would have been exposed to the pneuma. With these results, one could conclude that maggots are formed in meat through exposure to Pneuma in the air that causes spontaneous generation. If ​ Hypothesis 2 was correct, Maggots would form in the uncovered meat, due to having direct contact with flies. However, the meat that was covered in gauze, would not produce magots, because flies were not able to come into direct contact with the meat. The experiments revealed that maggots do not appear in meat exposed to pneuma. However, meat exposed to flies did produce maggots. When Redi repeated the experiment covering the meat in an air-tight container, he demonstrated that in the absence of both flies and pneuma, meat does not produce maggots. 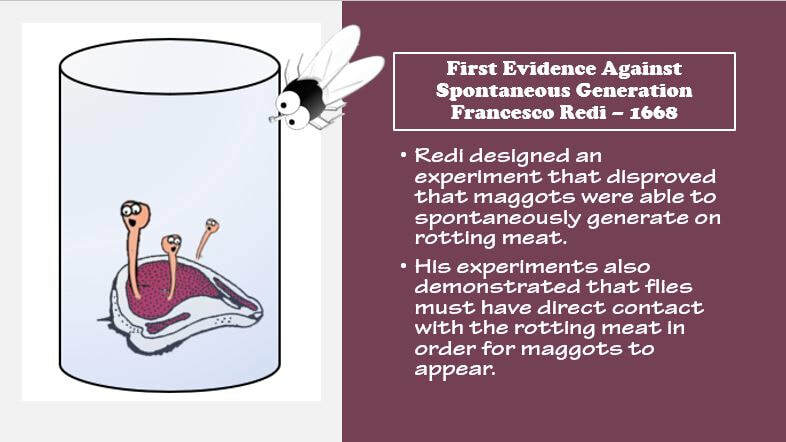 All of Redi's experimental results showed that maggots DO NOT form due to spontaneous generation, but rather, maggots are formed in meat through the direct contact with flies. One of the ideas of spontaneous generation was "pneuma" or "vital forced" which was believed to be the spiritual force that lead to spontaneous generation. The pneuma was believed to travel through the air. This is why the jars were covered with gauze and not simply closed with their lids. 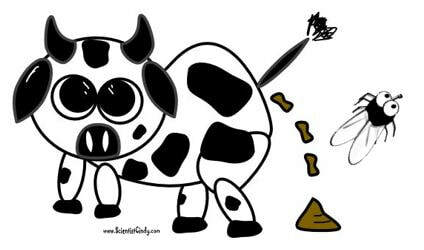 If spontaneous generation was correct, both samples of meat should produce maggots, because they are exposed to the air. If spontaneous generation was incorrect, the meat inside the covered jar will not produce maggots. If maggots appear in meat only after there has been direct contact with flies, then the meat in the uncovered jar will produce maggots, and the meat in the covered jar will not produce maggots. The meat inside of the uncovered jar that was exposed to direct contact with flies, produces maggots. The meat inside of the covered jar that was exposed to the air (or pneuma), but protected from flies, did not produce maggots. Spontaneous generation is not correct. Maggots appeared in meat after coming into direct contact with flies, giving evidence to the hypothesis that maggots may come from flies. 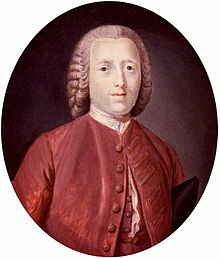 John Needham (1713–1781) Redi's conclusions were met with disbelief by many scholars and scientists. I​n 1745, John Needham sought to disprove Redi's findings and performed the following experiment. Needham briefly boiled broth containing plant and animal matter, in an effort to kill any existing microorganisms. The broth was then kept sealed and left to incubate for three days. After three days, the broth was visibly cloudy and microbes were observed in the broth using a microscope. Needham concluded that these microscopic organisms had spontaneously generated from the broth. His conclusion supported the Theory of Spontaneous Generation and refuted Redi's claims. 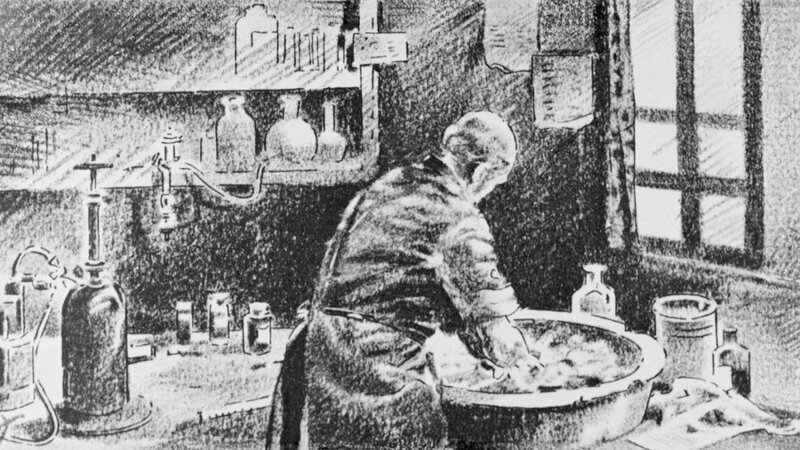 Later, it was found that John Needham's experiment was flawed, because he had not allowed the broth to boil long enough to kill all of the pre-existing microbes. 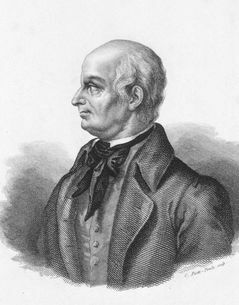 Lazzaro Spallanzani (1729–1799) Lazzaro Spallanzani (1729–1799) performed a number of experiments that elicited results that contradicted those of John Needham. Spallanzani boiled broth containing plant and animal matter. He then poured some of the heated broth into sealed containers and poured the remaining broth into unsealed containers. The broth that was kept sealed, remained microbe-free, whereas the broth exposed to air were found to carry microorganisms. 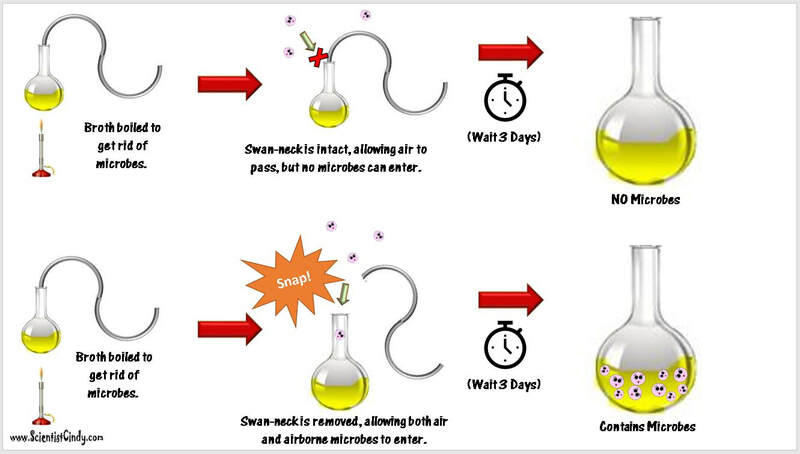 Spallanzani’s results contradicted the notion of spontaneous generation and suggested that the microbes found in the broth samples that were exposed to air, came from microbes that were present in the air. John Needham held fast to his belief in spontaneous generation, despite Spallanzani's experimental evidence. Needham explained away Spallanzani's experimental results by postulating that the "life force" needed for spontaneous generation was destroyed when the broth was boiled, and that sealing the boiled broth prevented any new "life force" from forming. Spallanzani hypothesized that spontaneous generation could not occur in the broth without the broth having an intact "life force". The legitimacy of the theory of spontaneous generation continued to be the source of heated debate until the mid 1800's. THE DISCOVERY OF CELLS AND CELL THEORY Life comes in a huge variety of shapes, sizes, composition and physiology. Some of the largest organisms to ever roam the Earth, like the blue whale, exceed 150 tons, whereas the smallest organisms are only visible using microscopes. Our current understanding of "life" is centered on The Cell Theory which was developed over hundreds of years, due to the contributions of countless scientists and numerous inventions, experiments and observations. These discoveries were made possible due to the invention of high-powered microscopes in the 17th century. The discovery of cells and the development of cell theory due to the invention of high-powered microscopes in the 17th century. Antique Microscope - Jansen's microscope consisted of three draw tubes with lenses inserted into the ends of the flanking tubes. The first microscopes were simple and very limited in magnifying power. There is some debate surrounding who invented the first microscope, but there is evidence of early microscopes as early as the first century. The first compound microscope was not invented until the 1590's. Zacharias and Hans Jansen were able to combine magnifying lenses together that resulted in an image that was 9 times larger than what could be seen with the naked eye. ​ Cells were first observed (and named "cells") by Robert Hooke in the 1660's. Hooke published his discoveries in 1665 in Micrographia,. 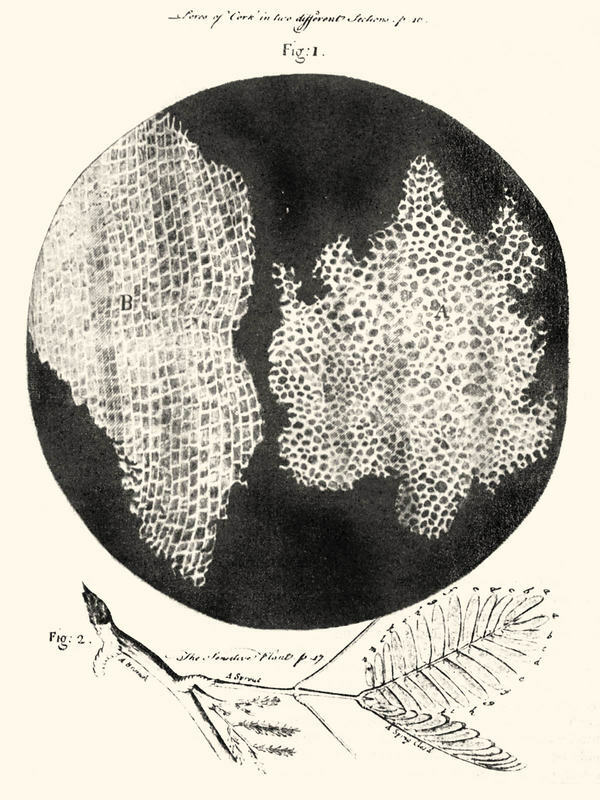 Hooke named the small individual structures that made up plant and animal tissues "cell", because he thought they resembled the cells of a honeycomb. It would still be hundred's of years until his discoveries and cell theory was widely accepted. English Scientist, Robert Hooke, discovered cells while looking at a thin slice of cork. He described the "cells", because they resembled the cells (or tiny boxes) of a honeycomb. He thought that cells only existed in plants and fungi. Robert Hooke was the first person to view tissues under a microscopic. He identified the distinct structures that made up the tissue as "cells". Robert Hooke identified the first cells by viewing a sample of cork. Hooke decided to call these structures cells.. The word "cell" or Cell” is distinct from the others (in Latin, “cell” literally means “small room”). They likely appeared to Hooke to be filled with air because the cork cells were dead, with only the rigid cell walls providing the structure. Hooke published a book called Micrographia in 1665 in which he described and illustrated the microscopic view of a variety of samples and specimens. 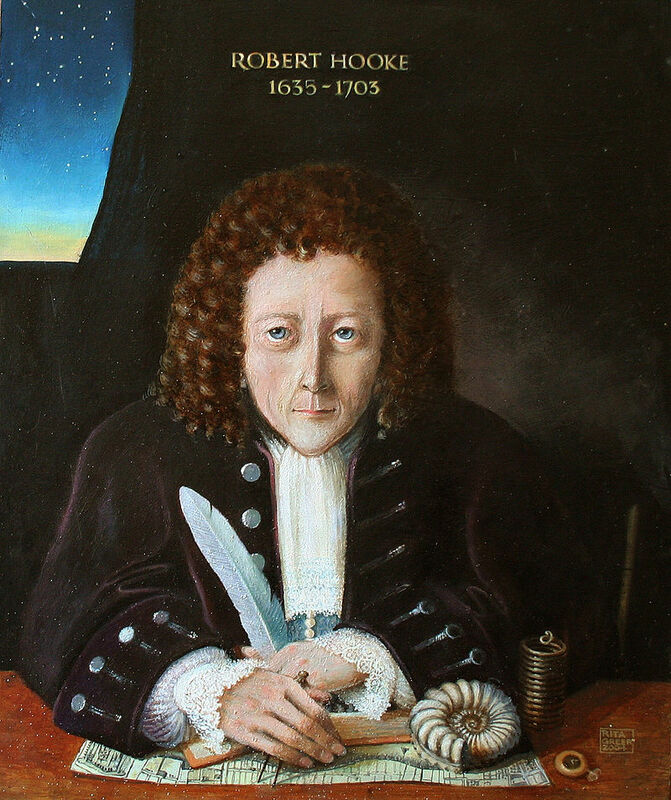 In addition to his contributions to microbiology, Hooke made contributions to physics (Hooke's Law of Elasticity), astronomy, philosophy, and even architecture. Hooke's observations began with viewing sections of cork under the microscope. Hooke was observing plant cells which made up the cork. Hooke's book, Micrographia, included spectacular copperplate engravings of microscopic views of different organisms. Some of these, like the illustration of the louse, was a fold-out plate four times the size of the page. Interestingly, Micrographia also describes distant planetary bodies, the wave theory of light, evolution, etc. "In the collection of most of which I made use of microscopes and some other glasses and instruments that improve the senses... only to promote the use of mechanical helps for the Senses, both in the surveying the already visible World, and for the discovery of many others hitherto unknown"
Anton van Leeuwenhoek is probably best known for his discovery of microorganisms in 1675. 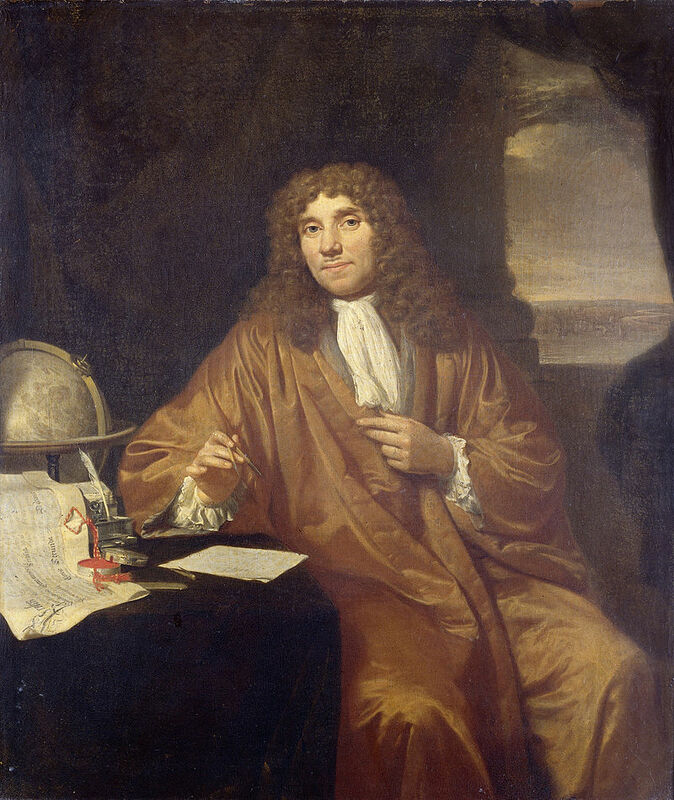 Anton van Leeuwenhoek was coined “The Father of Microbiology”, because he observed the first motile microscopic lifeforms - he called them “animalcules” in a drop of water. He also discovered bacteria. Cells had already been discovered by Hooke, but these were plant cells. Animal cells and bacteria cells were discovered by Anton. Before this time, microorganisms were hypothesized, but never observed. Many people were resistant to the idea that something could exist that was too small to be seen with the naked eye. ​ Even though the existence of micro-organisms had been postulated throughout history, it was not until the invention of the microscope, that this micro-world was able to be seen! Early microscopes did not have much magnifying power, until 1675 when a Dutch cloth merchant named Antonie van Leeuwenhoek developed the first microscope lenses powerful enough to view microbes. The improvements resulted in a magnification power of up to 300X. 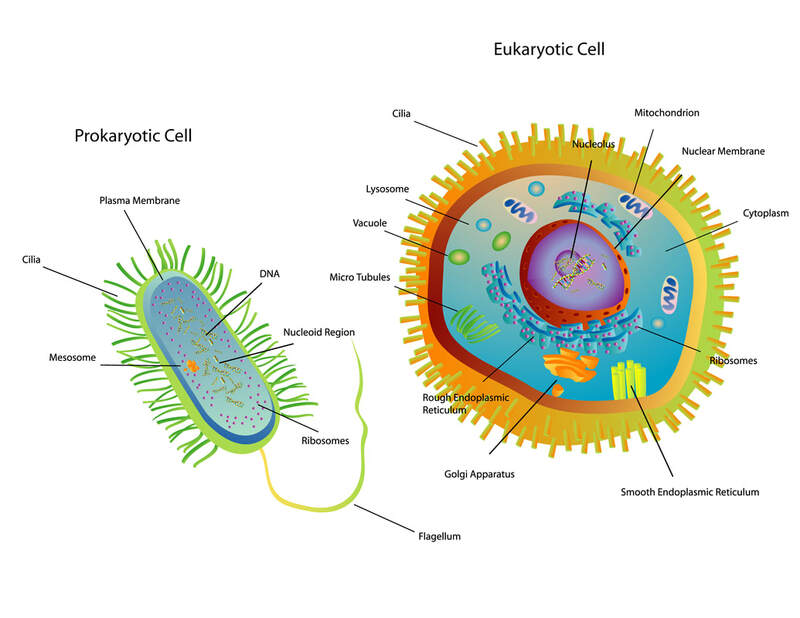 1) The fundamental unit of life is the cell. 2) All organisms contain one or more cells. 3) All cells come from other cells. In 1976, Leeuwenhoek was the first to observe single-celled organisms, he described as “animalcules” or “wee little beasties,” swimming in a drop. ​All living beings are made up of cells. Some of them are made up of only one cell and others have many cells. The adult human body is made up of about 37 trillion cells. That is 37,000,000,000,000 cells! WOW!!! The Cell Theory began with Robert Hooke's discovery and observation of cells. As awesome as this discovery was, the true significance of this discovery was not fully realized until centuries later! It was only then that the structures Hooke coined as "cells" would be found to be the fundamental unit of life! Louis Pasteur was a pioneer in microbial fermentation and he invented the process of pasteurization which bears his name. There is also a laboratory instrument called the Pasteur pipette which also bears his name. Pasteur pipettes, are named after the scientist Louis Pasteur, who invented them for his own laboratory use. Pasteur pipettes allow for sterile conditions, which is of the utmost importance when studying microorganisms. 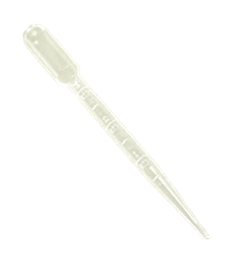 The Pasteur pipette can be used to transfer liquids from one container to another WITHOUT the liquid being exposed to the open air. These pipettes can be made of glass or disposable plastic and are a staple in biology laboratories still to this day. In 1858, Pasteur successfully transferred microbes that had attached themselves onto a piece of gun-cotton from the air, to broth. He was able to perform this transfer without exposing the broth to the air. After several days of incubation, the broth contained many microorganisms. Pasteur concluded that microorganisms were coming from the air directly. This experiment showed evidence against the idea that the microorganisms appear in broth due exposure to the air which gave the broth a "life force". 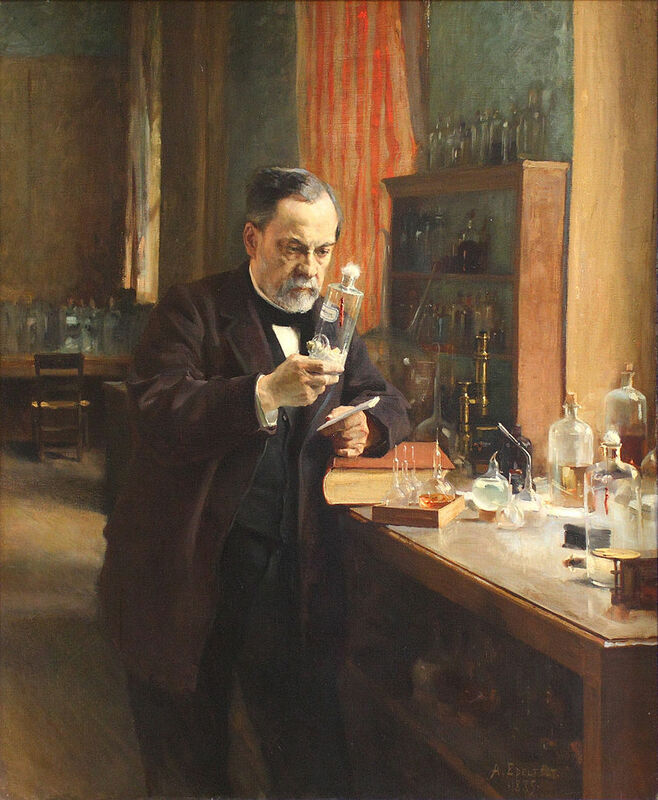 Louis Pasteur performed a series of experiments that presented overwhelming evidence against the theory of spontaneous generation. Many consider these experiments to be the "death blow" to the Theory of Spontaneous Generation. 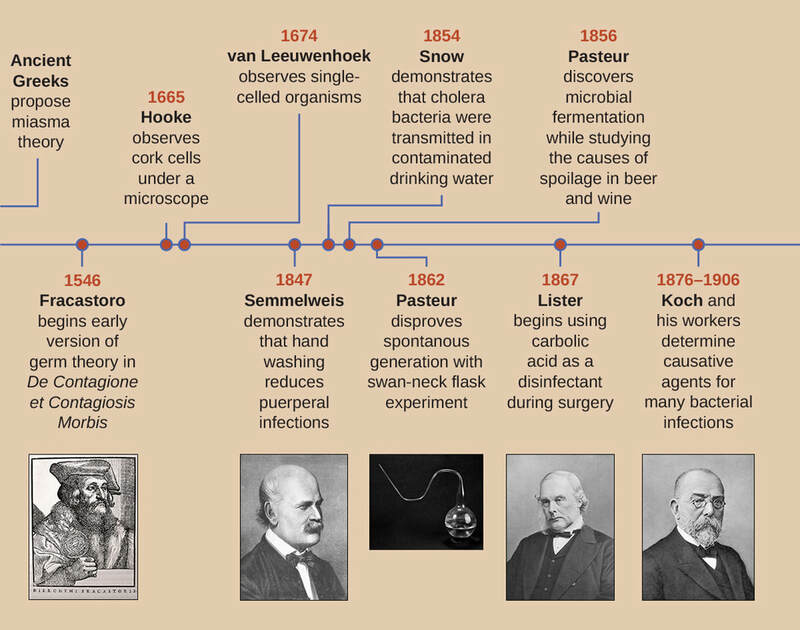 Louis Pasteur postulated that microbes grew in broth because the broth was exposed to microbes in the air. These microbes would get into the broth from the air and grow. The other idea was in line with the Theory of Spontaneous Generation, that the microbial growth in the broth was due to the "vital force" which was a spiritual force in the air that was thought to cause spontaneous generation. In order to put these ideas to the test, Pasteur designed special swan-necked flasks that were designed to allow air through while trapping microbes. It had been observed already that microbes would grow in nutrient-rich broth, but there was a debate as to why or how this occurred. It was also known that boiling broth would kill microbes. For this reason, broth was boiled to destroy any existing microbes in the broth at the beginning of the experiment. After boiling, several experiments involving broth inside of the swan-necked flasks were performed. Broth that was sterilized and incubated in intact swan-necked flasks were exposed to air only and were protected from dust particles and microbes in the air. The broth in the intact flasks did not produce microbes. It was found that if the "swan-neck" of the flask was broken off, the broth was exposed to microbes in the air and the broth would show microbial growth. ​ Pasteur's experiments proved that microbial growth in broth was due to microbes coming into the broth from the air. This also disproved the Theory of Spontaneous Generation. Cells are the fundamental unit of life! A botanist, Matthias Schleiden, took inventory of the microscopic view of hundreds of plant tissues. ​ Plant cells are very recognizable due to their pronounced cell walls, which gives them their characteristic brick-like shape. Interestingly, Schleiden believed the cell walls were due to some sort of crystallization process. We now know that the cell walls are created in the cell division process, not crystallization. The first vaccine was developed in 1796 by Edward Jenner against Smallpox. Edward Jenner observed that milkmaids who had previously been infected with a similar disease called cowpox, were protected from smallpox. The principle behind vaccinations is that a disease can be prevented by exposing the subject to a milder form of the disease-causing agent. Interestingly, the term "vaccine" came from the term "Variolae vaccinae" which means "smallpox of the cow". Initially, the terms vaccine/vaccination was used exclusively to smallpox, but in 1881 Lous Pasteur proposed that the definitions of the terms vaccine and vaccination be broadened to include newly created vaccines, in honor of Edward Jenner. The principle behind vaccinations is that a disease can be prevented by exposing the subject to a milder form of the disease-causing agent. In the 1700s and earlier, it was thought that diseases were spread through by MIASMA. Miasma were thought of as foul smelling rotting particles in the air that could cause disease. As more scientific information became available, new outbreaks of disease led to new scientific inquiries which gave to the field of epidemiology. Epidemiology is the study of the source, cause, and mode of transmission of disease. John Snow received the honorary title of "The Father of Epidemiology". He is known as the first person to conduct an epidemiological study. 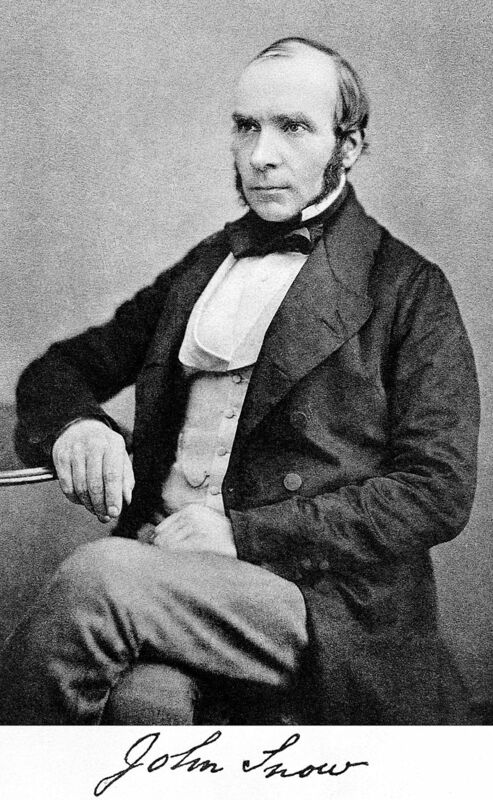 In 1848, British physician John Snow conducted the first epidemiological study. He sought to discover the source of cholera outbreaks in London. Snow successfully traced the origins of the outbreaks to a water source that was found to be contaminated with sewage. John Snow showed that disease is not only transmitted through the air, but can also through contaminated items, like water. ​ In 1854, John Snow determined the cause of cholera transmission in London was due to a contaminated well. He discovered this by tracking down the instances of the disease and noticing that the disease was localized to a specific area with a common well. Description of Photograph: Broadwick Street showing the John Snow memorial and public house. The memorial pump was removed due to new construction in March 2016. 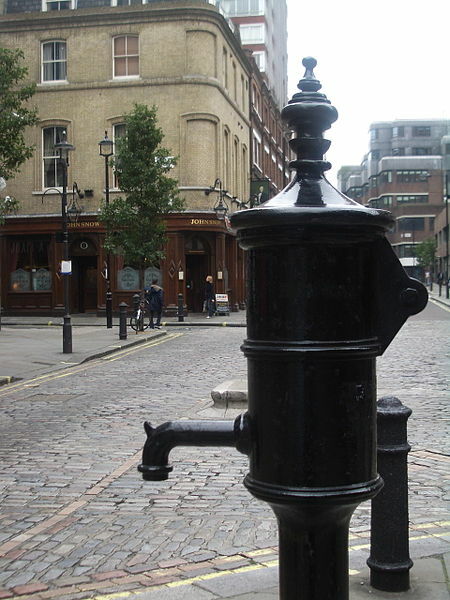 The Red Granite kerbstone mark is the site of the historic Broad Street pump associated with Dr John Snow's discovery in 1854 that cholera is conveyed by water. Semmelweis's discovery was tested and proved over and over again. However, the scientists of the day were reluctant to accept that hand washing reduced mortality rates, because the idea of Miasmatic Theory was prevalent and widely accepted within the medical and scientific communities. In fact, many medical practitioners refused to wash their hands and were insulted at the idea that their hands may be contaminated. 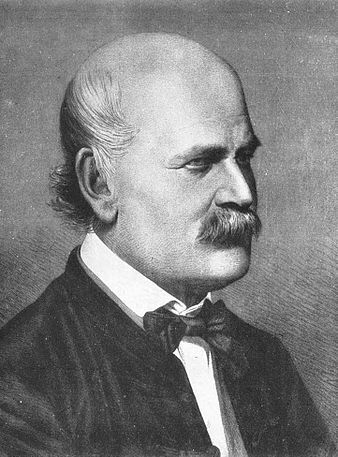 Ignaz Philipp Semmelweis was instrumental in the development of aseptic techniques as a defense against the germs that were the cause of disease, according to Germ Theory, which had not yet gained popularity at the time. Semmelweis discovered that hand washing in obstetrical; clinics drastically reduced the incidence of "childhood fever", or puerperal fever. Semmelweis was coined "the Savior of Mothers". Puerperal fever was common in the 1850's and was often fatal. Aseptic techniques he created involved disinfecting the hands with a chlorinated lime solution. He published a book of his findings in Etiology, Concept and Prophylaxis of Childbed Fever. ​Puerperal fever monthly mortality rates at Vienna Maternity Institution 1841–1849. Rates drop when implementing hand washing. Sammelweis's ideas were met with disbelief by many members of the scientific and medical communities. Non-sterile environments were still commonplace, resulting in extraordinarily high (~ 50%) mortality rates among patients who had undergone various surgical procedures. Sammelweis demonstrated that the non-sterile environments that the patients endured during surgeries, lead to the development of these deadly post-operative infections. Semmelweis concluded that these infections were due to unseen microbes that were able to travel through air or by a contaminated object coming into direct contact with the patients., causing illness and death. These infections were so common, they were termed "ward fever". Unfortunately, his ideas were not popularized until after his death, when Lister and Pasteur continued the work in antisepsis. Louis Pasteur was one of the proponents of The Germ Theory, that states that germs are the cause of infectious disease, and is often miscredited as its creator. Louis Pasteur invented a process that reduced the number of pathogens in certain food products, such as dairy products. This process was named "pasteurization" and is where we get products like "pasteurized" milk, etc. The process of pasteurization kills most of the bacteria that causes spoilage, thereby increasing food quality and protecting public health. ​ Louis Pasteur also proved that the fermentation process was caused by the single-celled organisms called yeast. In 1885, Pasteur developed a vaccine for rabies and laid the foundation of for a new field that would become known as "bacteriology", the study of bacterial organisms. John Lister also furthered the earlier work by Ignaz Semmelweis (1818–1865) who had developed the practice of sterile techniques and demonstrated the link between the non-sterile environment and disease. In 1865, Joseph Lister developed the practice of antisepsis, which is the chemical disinfection of external living surfaces. ​ The medical and scientific communities were more accepting of Sammelweis at this time, largely due to the overwhelming evidence produced by many scientists and physicians, including work done by Louis Pasteur, that provided overwhelming evidence supporting germ theory. The medical field adopted many of the aseptic techniques set forth by Lister. These methods of sterility and decontamination became the new standard for patient care. 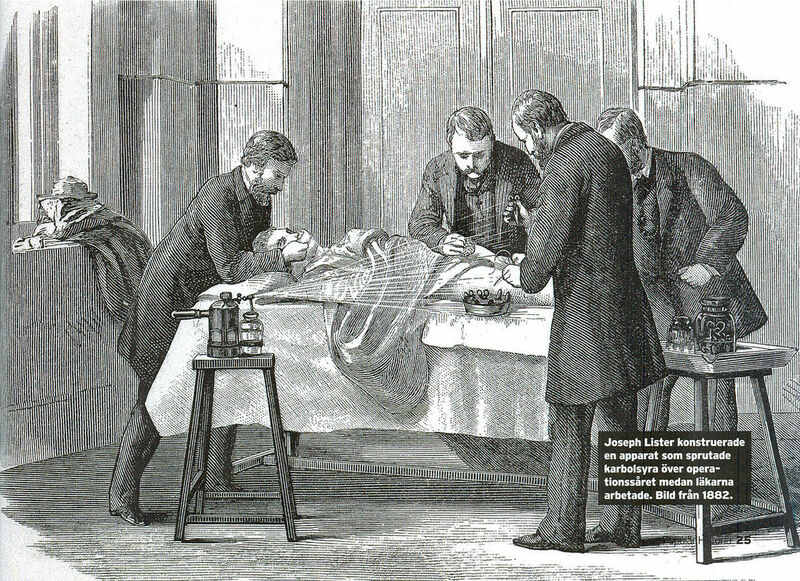 A great many of the aseptic techniques developed by Joseph Lister are still used in the medical field today. Listerine was developed in 1879 by Joseph Lawrence and was named after Joseph Lister, in honor of his contribution to antiseptic surgery. Robert Koch (1843 - 1910) is known as the founder of bacteriology. Robert Koch performed an experiment that provided evidence to the existence of bacteria. Specifically, Koch identifying the pathogens that cause tuberculosis, cholera and anthrax. Koch experimentally identified 4 generalized principles linking pathogens to disease. These principles were coined Koch's Postulates and still hold true today. Robert Koch was awarded the Nobel Prize in 1905 for his research on tuberculosis. The organism must always be present, in every case of the disease. The organism must be isolated from a host containing the disease and grown in pure culture. Samples of the organism taken from pure culture must cause the same disease when inoculated into a healthy, susceptible animal in the laboratory. The organism must be isolated from the inoculated animal and must be identified as the same original organism first isolated from the originally diseased host. ​The hunt was on to find the disease-causing agents of different illnesses in order to make new vaccines and to further scientific knowledge. The isolation of bacteria involved a process called filtering. Viruses are about ten times smaller than bacteria cells. So scientists knew that the disease causing agent was smaller than the bacteria cells that were being collected using the filters of the day. The challenge was to make a filter that had pores tiny enough to trap these extraordinarily tiny disease-causing organisms, later to be identified as viruses. Pasteur and Chamberland created a new filter, called the Pasteur-Chamberland filter, which was able to trap viruses. Soon after, new specialized fields of study began including mycology (the study of fungi), protozoology (the study of parasitic protozoans) and microbial ecology (the study of the ecological role of microorganisms). The scientific process, usually begins with an observation. As technology continued to advance, we were able to discover and finally visualize the unseen world that we humans have coexisted with for tens of thousands of years, largely unaware. Light microscopy is limited by the wavelengths of visible light which are between 400 and 700 nanometers. This range is fine for most eukaryotic cells which are between 10 micrometers and 100 micrometers. However, if you want to visualize organelles or bacteria cells, many of these are 10 times smaller, ranging from about 1 micrometer to about 10 micrometers. Viruses are even 10 times smaller than bacteria cells, measuring around 100 nanometers. ​ So, HOW in the world can we SEE something that is smaller than the wavelength of light itself? The answer is the electron microscope! The first electron microscopes were developed in the 1940s. Electron microscopes form an image of the specimen using a beam of electrons instead of light. Since electrons have a wavelength of only about 1 nm, the electron microscope can magnify a specimen up to about 100,000X. For comparison, a good compound microscope might be able to magnify a specimen up to about 2,000X. With this new technology, scientists were able to peer inside the cell like never before. The structure and organization of cells was realized and refined. Soon after, the antibiotics actinomycin and streptomycin were discovered in samples of soil and were instrumental in treating tuberculosis. These discoveries were followed by many many more and numerous diseases were treated. However, overuse of antibiotics has lead to antibiotic-resistant strains of bacteria which is a problem we are still facing today. ​ The third golden age of microbiology can be summed up in one word... BIOTECHNOLOGY. Advances in the fields of microbiology, nanotechnology, and bioengineering have revolutionized the medical field. Microorganisms can be directed in the body to serve specific functions for the benefit of the patient. Genetically engineered microbes can be sent through the body as protein factories. With all of our achievements, it may be tempting to get complacent about the state of the world. When we compare the advancements of medicine with the limited availability and access to new medical technologies, we see the challenge. With our record global population and constant transcontinental travel, keeping pace with new outbreaks and epidemics will continue to be a concern going forward.